This Serving Trolley is designed for serving wine and food, especially helpful for restaurant room service. The color and surface treatment of metal part and wood part can be customized, just contact us and send us the reference picture.Custom size is also available. The material we use is carefully chosen pine wood make this serving trolley durable. Whether indoor or outdoor, it can completely adapt the environment. Nature and no pollution show high level and bring you good day. Feel free to contact us if you are interested in, or any other questions are also welcome. 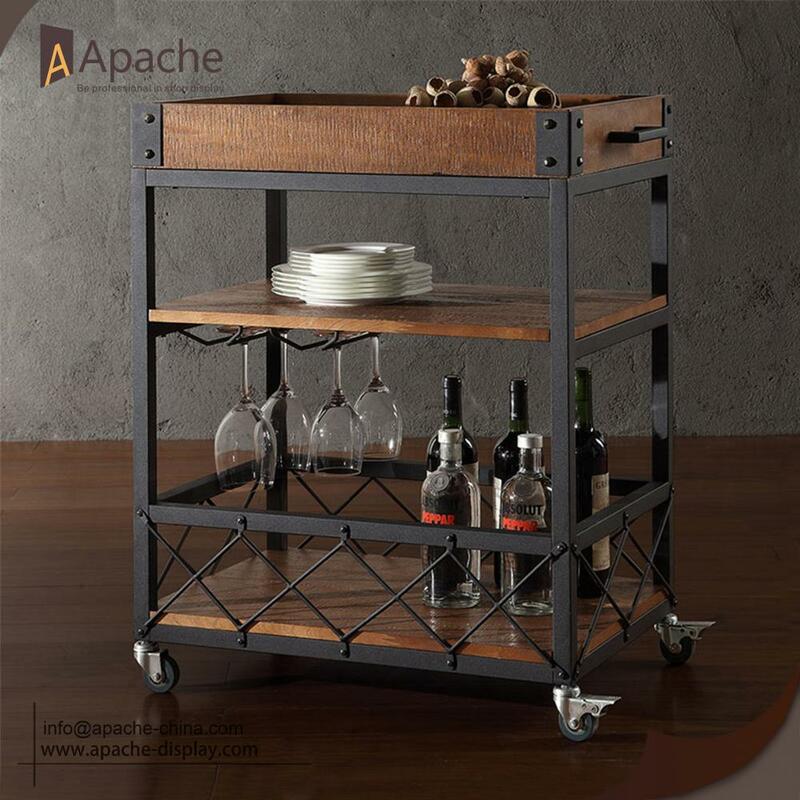 Looking for ideal Wine Serving Cart Manufacturer & supplier ? We have a wide selection at great prices to help you get creative. 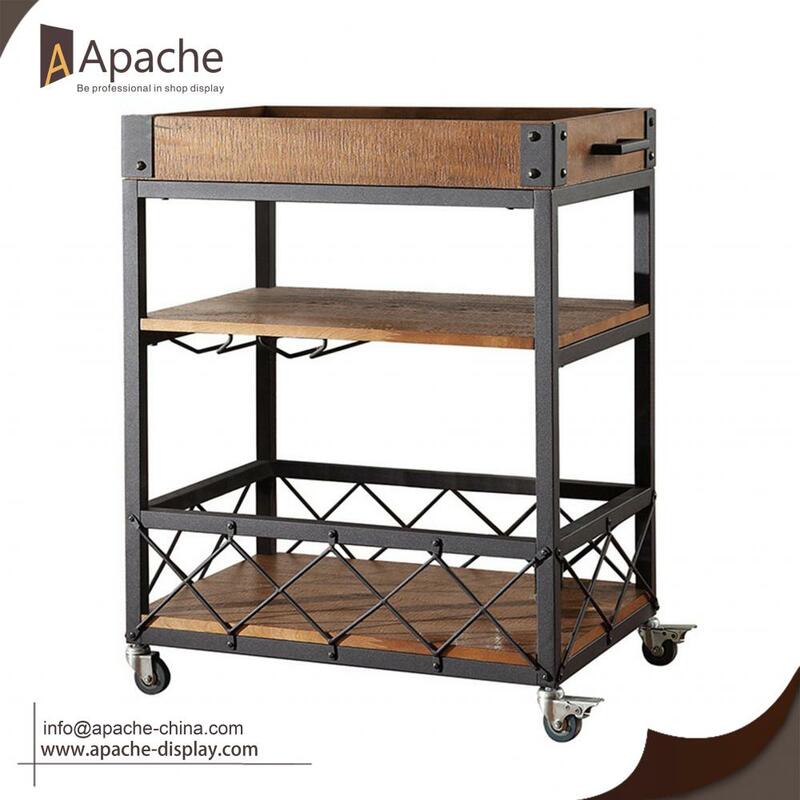 All the Metal and Wooden Trolley are quality guaranteed. 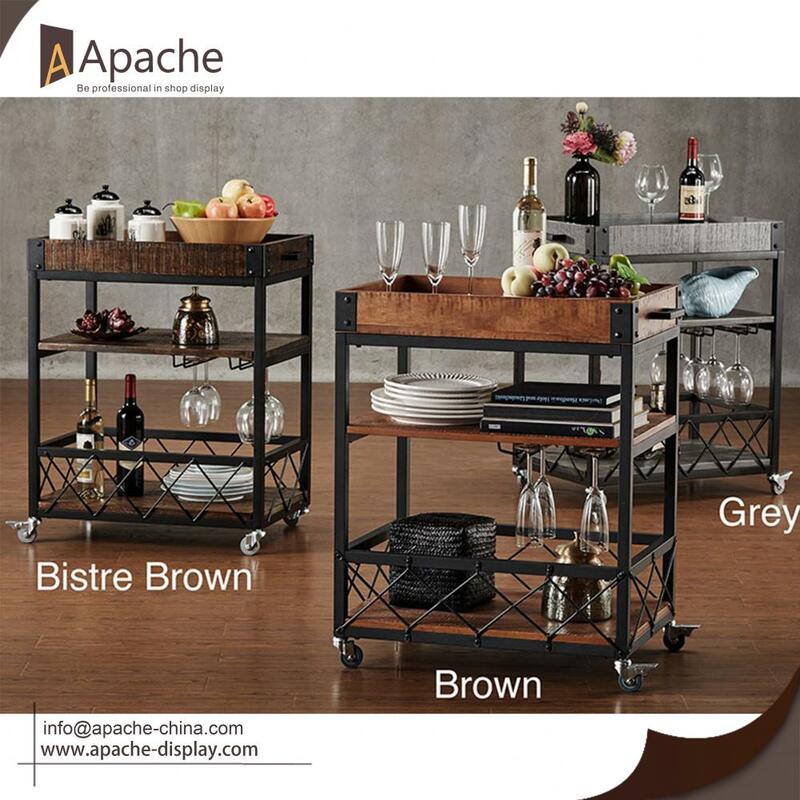 We are China Origin Factory of Restaurant Serving Trolley. If you have any question, please feel free to contact us.